Sie haben bereits die maximale Bestellmenge 59 erreicht. ETHYL ACETATE, BUTYL ACETATE, NITROCELLULOSE, ADIPIC ACID/NEOPENTYL GLYCOL/TRIMELLITIC ANHYDRIDE COPOLYMER, ACETYL TRIBUTYL CITRATE, ISOPROPYL ALCOHOL, STEARALKONIUM BENTONITE, POLYETHYLMETHACRYLATE, ZINC SULFATE, MANNITOL, ACRYLATES COPOLYMER, SILICA, N-BUTYL ALCOHOL, HEA IPDI ISOCYANURATE TRIMER/POLYCAPROLACTONE DIOL COPOLYMER, DIACETONE ALCOHOL, HEXANAL, TRIS-HEA IPDI ISOCYANURATE TRIMER, MICA, LITHOTHAMNION CALCAREUM EXTRACT, PENTAERYTHRITYL TETRA-DI-T-BUTYL HYDROXYHYDROCINNAMATE, DIATOMACEOUS EARTH, ETOCRYLENE, PHOSPHORIC ACID, SORBIC ACID, CI 12085 (RED 36), CI 15850 (RED 6 LAKE), CI 77891 (TITANIUM DIOXIDE). 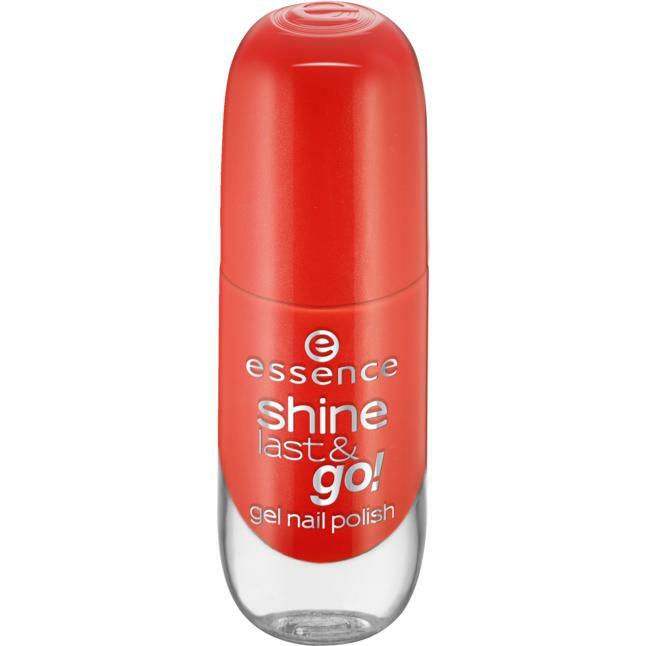 essence shine last & go! gel nail polish 21 anything goes!